The participation on the 19th Xiamen Stone Fair 2019 was a successful and intense experience for the Officine Marchetti. 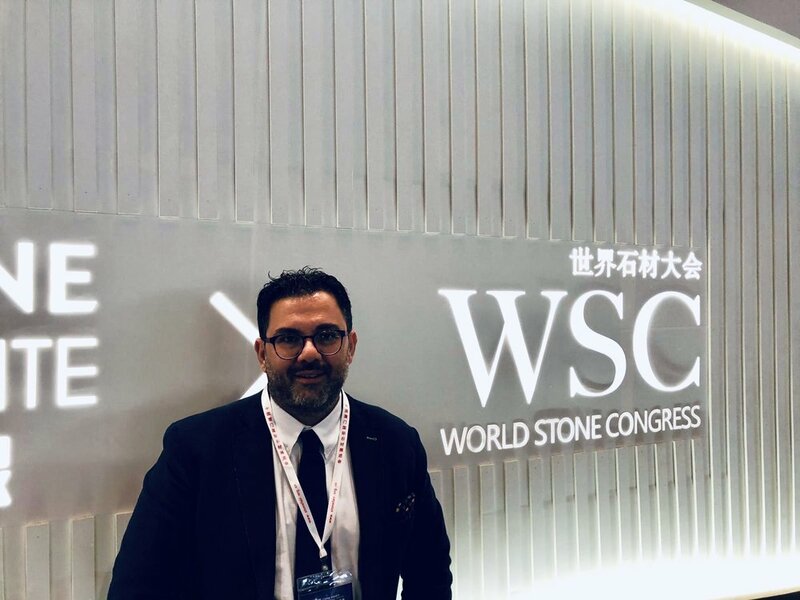 In addition to experience of one of the world’s most prestigious trade show of the stone industry, this year, the Marchetti’s staff took part in the World Stone Congress, showing the strengths of the company. Joseph Anthony Miceli, Officine Marchetti’s CFO, was the lecturer of the conference entitled “Marchetti Technology Talk: Optimize Production Process” on company’s innovations and technologies implemented by the technical office and the production, on the improvement and the enhancement of natural stone’s production processes, on Italian technology and mechanics, on the performances and qualities, on the environmental respect and energy savings and, finally, on the future prospects to offer customers. To the conference have also spoken Mrs. Arianna Marchetti, Officine Marchetti’s CEO, Eng. Tiziano Boccomino, head production, Mrs. Antonella Pietrelli, Sales Manager, Mr. Orlando Pandolfi by the Engineering Pandolfi’s Studio, Mrs. Mary and Mr. Luca Pellizzari by Apax Group who represent Marchetti in China, Mr. Naveen Gupta by Stonera System Pvt. Ltd., who represent Marchetti in India and also have helped to illustrate the quality of the products by direct experiences, the services and the hallmarks that the company offers for over 50 years. Officine Marchetti want to thank all those people who have made this brilliant experience possible as well as all the conference’s guests for their precious contribution.